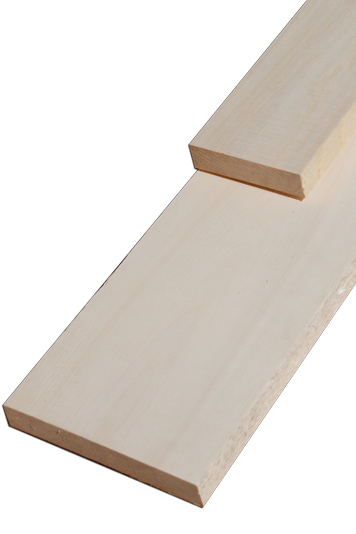 Aspen is available in 4/4 Hit and Missed planed to 15/16" thickness. Aspen is a very lightweight wood. Its used for Japanese Shoji Screens, due to its stability. Also used in furniture interiors and vehicle bodies. From start to finish Ash is easy to work, glue, and finish. Heartwood tends to be a light brown, the sapwood is a pale yellow to nearly white, and tends to gradually blend into the heartwood.